The season of gift giving is upon us. 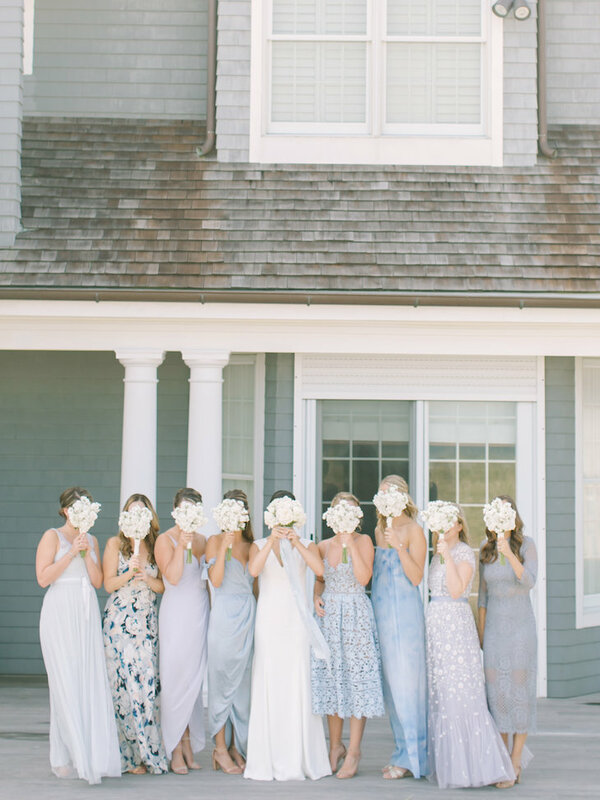 I am rounding up some great gift ideas for your bridesmaids in this wedding gift guide that will come in handy any time of the year. Traveling for a girls’ weekend or for business, your best friends can travel in style with one of these personalized and fashionable gifts. I am a big fan of these cute Pack-it Sac Sets. Each set comes with one small and one large canvas clutch and customized with each girl’s initials. We all know that we can never have enough bags. In my opinion, you can’t go wrong gifting a functional, yet beautiful bag like this Luxury Leather Tote with an understated monogram. I also love this gold dipped tote that is big enough to carry everything your girls will need on the wedding day. Just about every moment of the wedding day is a photo opportunity. 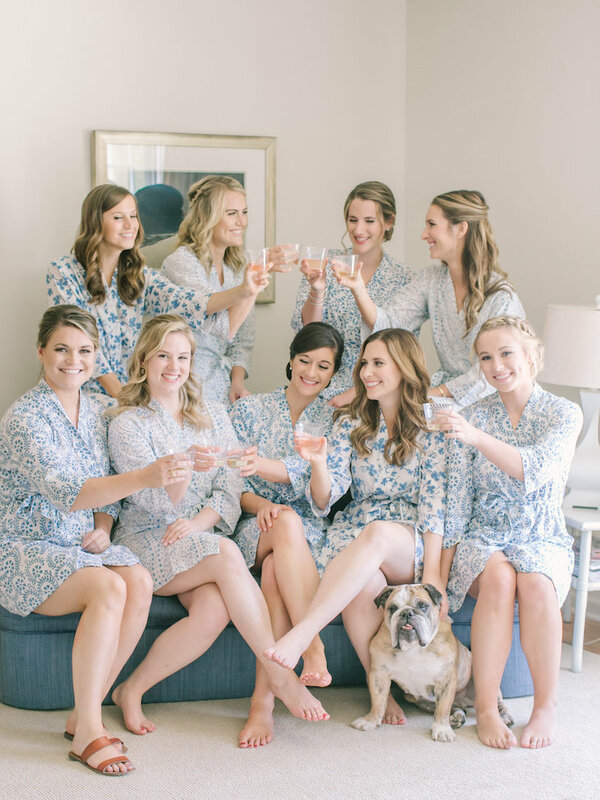 Having your bridesmaids and you in matching robes has become a must have detail. I tried out the navy Victorian floral robe monogramed with “bride” from Bridesmaid Gifts Boutique for size and I love it! The florals are beautiful. I love how muted the colors are and perfect for a fall wedding. For a bit more “glam”, try these satin nightgowns in silver, gold or blush pink with “Team Bride” on the back for the best pre-wedding sleepover you can imagine. I can see the champagne popping pictures now! One of my favorite items might be this Maddison Makeup Bag. I love the textured quilted fabric and the typewriter monogram style. My makeup bag is one of my most cherished items. I have a feeling your girls are the same. Imagine gifting your ‘maids with the gift of never losing a piece of jewelry in your suitcase. Or not having to untangle a necklace again. Priceless. I love how sweet and dainty these vegan leather jewelry cases are. Inside you can include a necklace or earrings that they can wear to complement their dress on the wedding day! Whatever you choose to gift them is just the icing on the cake of your friendship. If you are looking for groomsmen gift ideas, check out our guide for guys here! 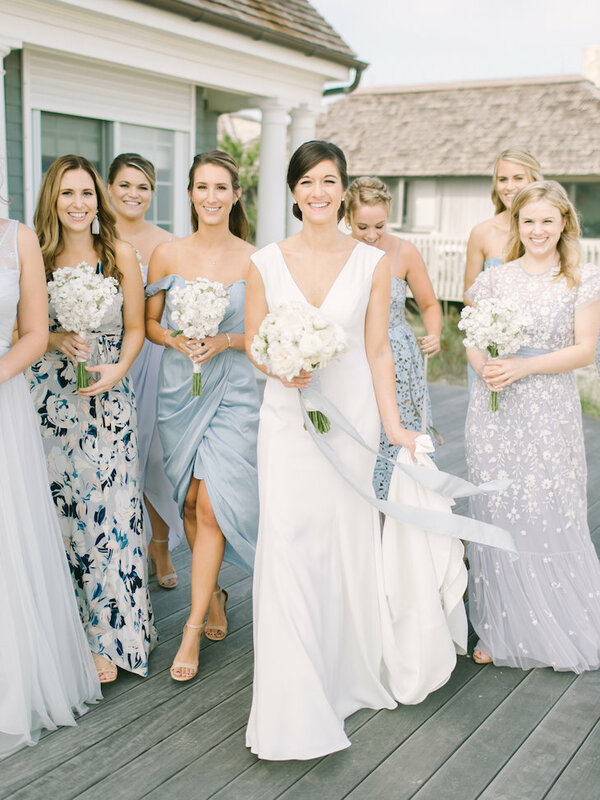 These are such great ideas that everyone in the bridal party can use after the wedding. Any of these gifts will compliment the classic “she can use it again” statement. I especially love the robe idea as it’s always to have a second packable robe to use when visiting friends and family. Love the monogrammed Maddison Makeup Bag! 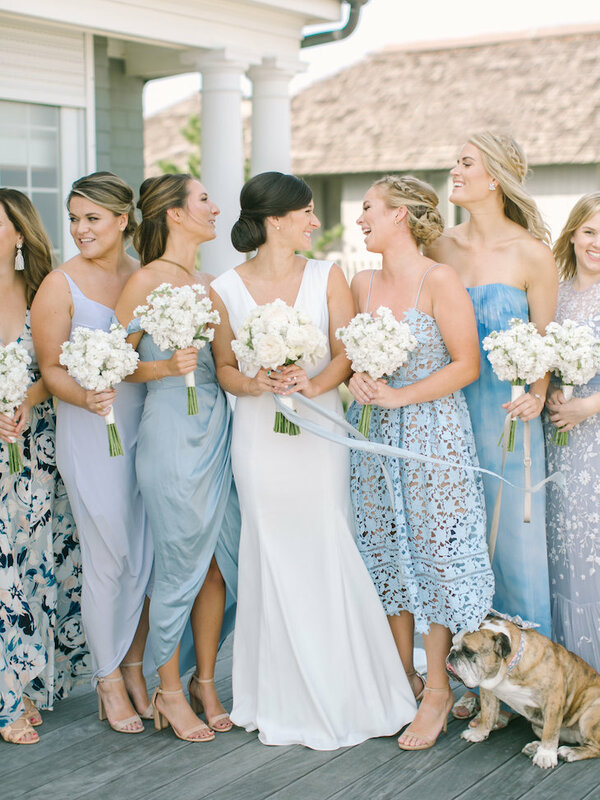 It’s the perfect accessory when you’re getting ready with your bridesmaids — everyone will know which bag is theirs!